Sugar mill cleaning brushes and accessories. Sugar mill wire brushes for juice heaters, evaporators and boilers. SCROLL DOWN FOR CUTTER HEADS. 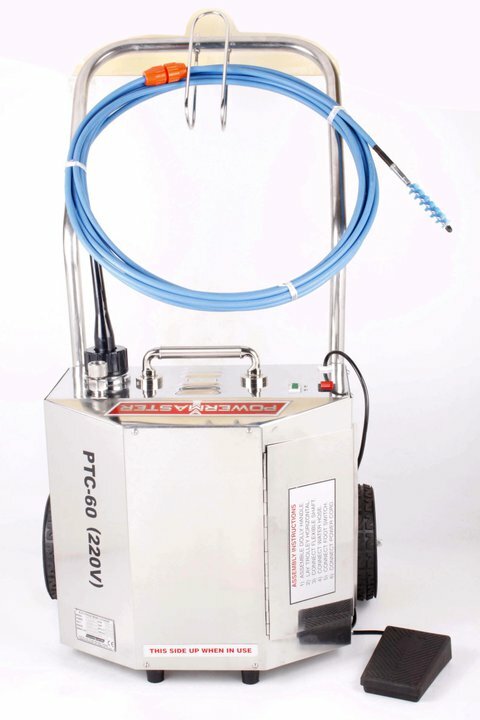 "TH" Series Turks Head - used for soot removal from tubes and general cleaning. 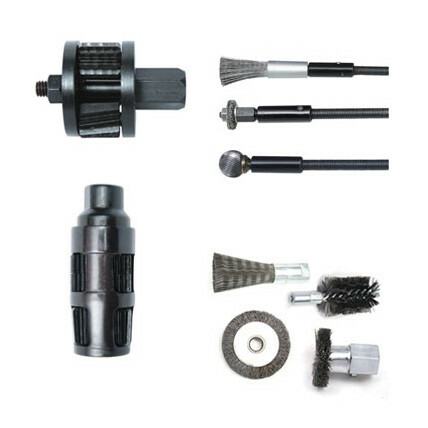 "WBA" Series - Heavy duty cleaning brush. 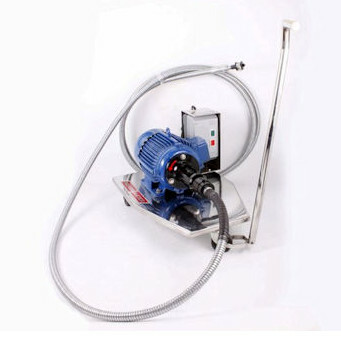 "DS Series - Double spiral for removal of light scale and burnishing tubes. 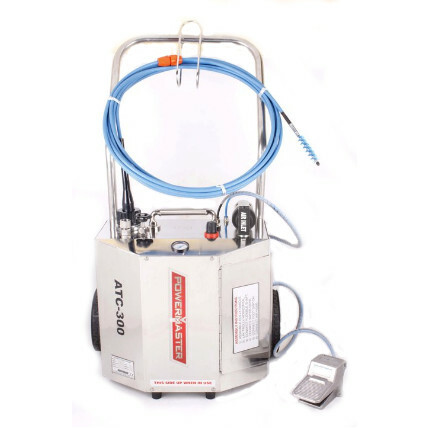 "MB" Series - For general purpose polishing and deburring. 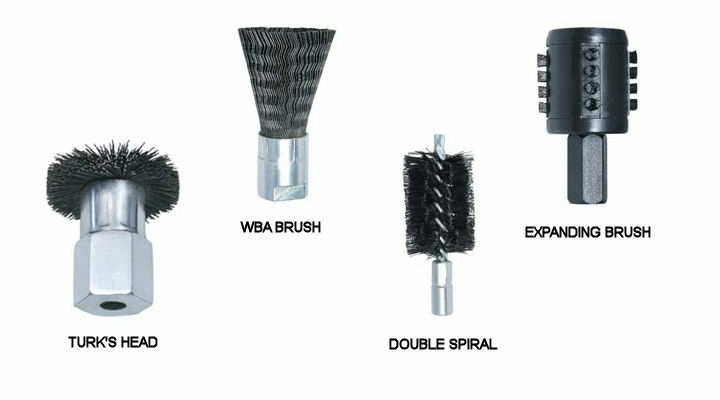 "CB" Series - Spare brush wheels for MB Series brushes. 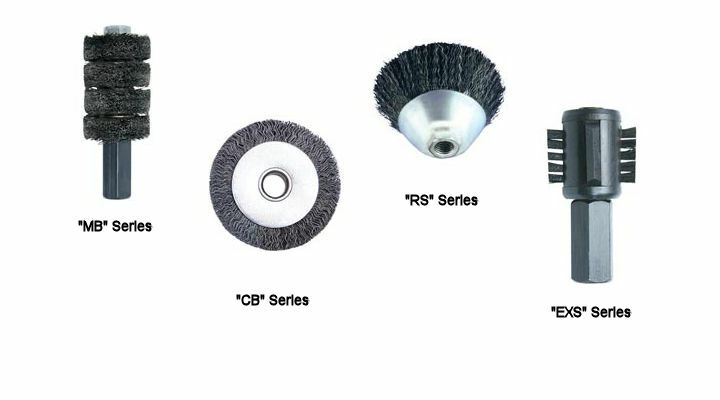 "RS" Series - Heavy duty brushes for hard scale removal. "EXS" Series - Expanding scrapers for thin scale or soft deposits. "H" type cutter heads - for tubes/pipes 1.1/4" - 4.0" (31.7mm-101.6mm)I.D. These Cutter Heads are designed for cleaning straight and curved tubes as found in Boilers, Air Heaters, Economizers, etc. Cutter Heads are provided with 3 cutter wheels, one each of straight teeth, teeth cut right hand, teeth cut left hand, for quicker cleaning and prevention of scale grooving. MM Inch Model No. Model No. "hz" type cutter heads - for tubes/pipes 1.1/4"-2.0" (31.7mm-51.0mm) i.d. 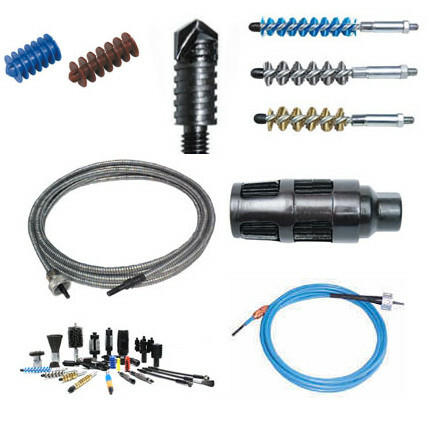 These spring loaded, self expanding Cutter Heads are designed for rapid removal of hard and obstinate scale formation in straight tubes as found in Evaporators, Juice Heaters, etc. It consists of 3 bevel, 4 straight cutter wheels, 4 left cutter wheels and 4 right cutter wheels, fitted on three bridge type arms. "WA" Type Cutter Heads - For Tubes/Pipes 1.1/2"-4.0" (38.1mm - 101.6mm) I.D. These cutters produce excellent results in curved or straight tubes/pipes. Pivoted arms of the cutter heads swing out by centrifical force so that the cutters contact all of the tube/pipe inner wall. Ideal for heavy/hard scale. 'SA' Type Cutter Heads - for Tubes/Pipes 2"-4" (51.0mm-101.6mm) I.D. These Cutter Heads have 3 to 5 freely pivoted arms, activated centrifugally, which swing out to give access to any part of tube wall.